Just by focusing on the geometrical shapes of pallets you can so much different ideas to utilize them for awesome furniture crafts! For example, if you need a coffee table you can select a pallet board that is already having a size equal to a tabletop! So just install your favorite legs and get amazingly low-cost tables! 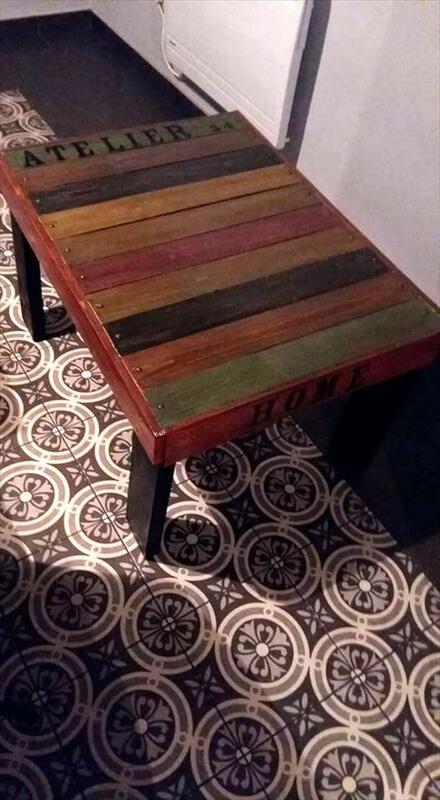 We would like to convince you with this DIY sleek rainbow pallet coffee table sample which is made of small pallet skid! Interested in making a clone of it? Just get your hands onto a small pallet board, sand well all its surfaces till super smooth hand gliding! 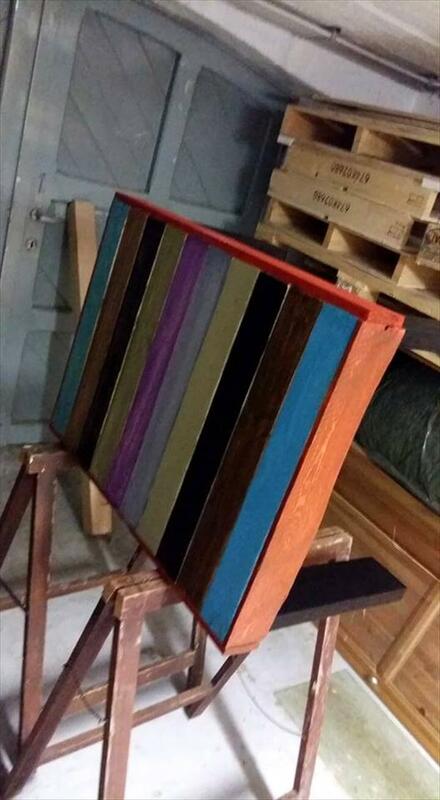 Install custom legs may be made of a pallet slats and finish it up with custom paint colors! Don’t forget to polish the wooden surfaces for sizzling shine on the wood grains! 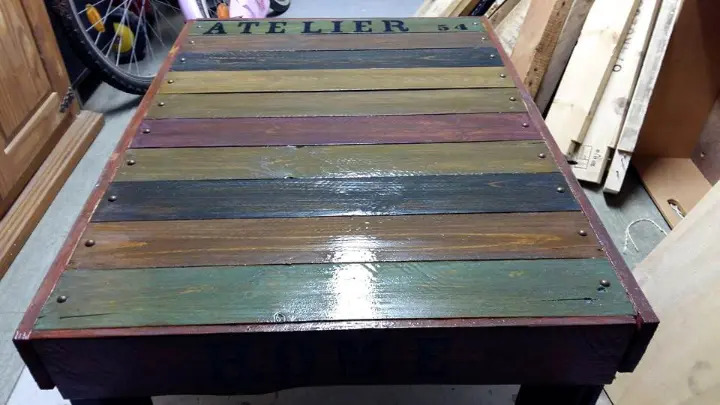 In this case, this pallet-made table has been painted in rainbow colors and comes with nail head accent trim for an extremely beautified look! Total wooden supply for this project is equal to a single pallet board! 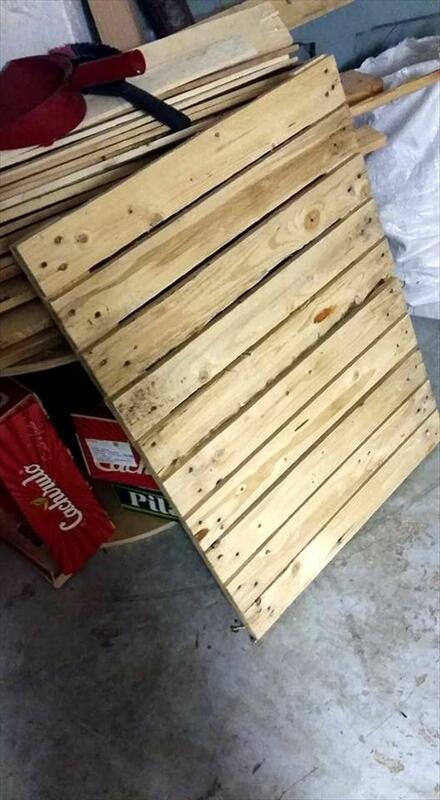 Choose a sturdy one from a pile of pallets! Remove all the impurities and gunk layers that are making the pallet look ugly! Next step would to remove splinters which can easily be done through a process of sanding! Now paint your decided pallet in your planned color combination! Here getting rainbow visual was in the plan! 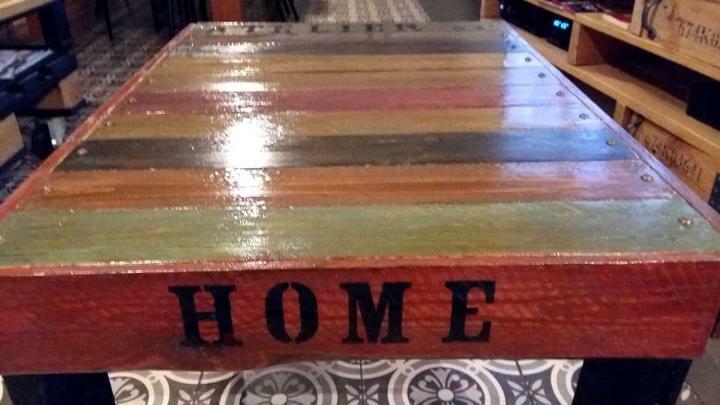 Next make your painted and finally finished sleek pallet sit on custom legs and enjoy a beautiful coffee table! Do give it an accent nail head trim and don’t forget to add personal logos and name letters for a more unique and personal visual of coffee table!